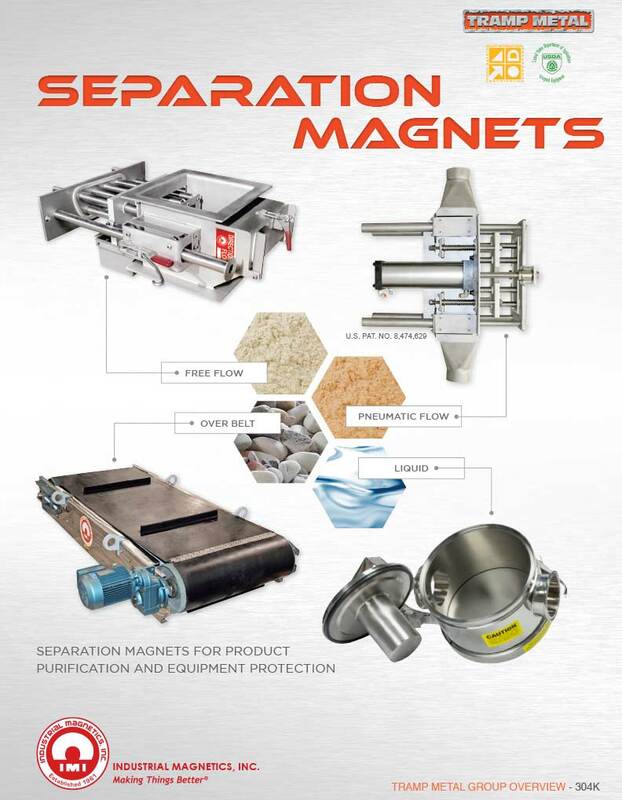 For Immediate Release: Posted On 3/21/2016 By Industrial Magnetics, Inc.
Industrial Magnetics, Inc. recently released a new catalog titled "Magnets 304 - Separation Magnets for Product Purification and Equipment Protection". Of noteable interest is the company’s upgrade of all tube-based magnetic separators to 52 MgOe rare earth magnet material, promoting significant increases in metal capture rates. The catalog is available digitally on the company’s website at http://www.magnetics.com/media.asp (registration required), or by requesting a hard copy at 231.582.3100.